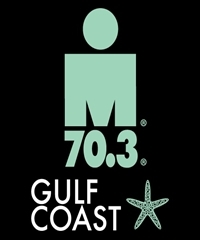 The race will begin with a 1.2-mile, open water swim in the Gulf of Mexico, along white sand shores. Competitors then bike 56-miles on an out-and-back course which travels through the rural areas of Bay County and Panama City Beach. Much like IRONMAN Florida, it is flat and fast for athletes looking to obtain a personal best. The 13.1-mile run will feature some of the most picturesque beach front areas that distinguish the area, with a spectacular finish at the Edgewater Beach & Golf Resort.